All curvaceous weretigress Juliette Crabtree ever wanted was a family of her own. When her marriage crumbled apart and she discovered that she couldn’t conceive, Juliette’s heart froze forever. She withdrew from her clan and chose a solitary life—away from other shifters, making sweets in her confiserie, hoping that someday the candies she made would chase away the bitterness in her heart. Wilhelm was the alpha of his clan and a successful businessman. There were two things he wanted from the curvaceous she-tiger who rented space in his building: 1) he wanted Juliette to date him. 2) He wanted Juliette to open a confectionary boutique shop in his new shopping mall. But Wilhelm soon finds Juliette lives up to her nickname, “The Subzero Queen.” She isn’t interested in him, romance, or opening a new shop. 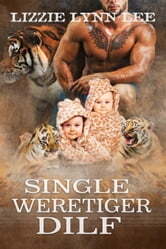 When tragedy strikes Wilhelm’s brother and his mate, leaving their twin baby cubs in his care, Juliette miraculously opens her heart when she finds out he became a dad overnight. Can Wilhelm convince Juliette that the family she wanted can be a reality? LLL writes great plot but her english is horrible. Sentences are awkward, words are occasionaly in the wrong tense and conversations are stilted but the plot is good and the story rockets along. Every time I read one of her books I think the same thing: if only she'd get herself a decent editor! I’m almost convinced a sixteen year old wrote this on their cellphone. Boring and trite. Dit is zeker een aarader als je een meer van het drama genre houdt.